If you think a herniated disc is causing your sciatic pains, here is some startling information for you: Dutch Neurologist Wouda stated in an article that 20-25 % of all people walk around with bulging or herniated discs, but suffer no pain at all. 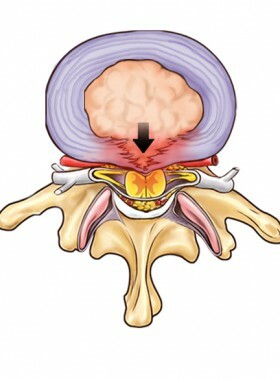 How come then that a herniated disc is so often pointed at when someone suffers from sciatica? I mean, they look at symptoms and want to be able to point at a cause so they know what to do. And in a way there is nothing wrong with that, I would only prefer docs looked further than a condition like herniated discs, because according to my research that condition does not give a satisfying explanation for sciatic pains. And the Duch neurologist I mention above confirms that. And last time I talked to a radiologist, she told me exactly the same and on top of that she told me she was hesitant to even have scans for cases like this because she highly doubted the causal realtionship between herniated discs and symptoms of sciatica. Please don't get me wrong, I do think a herniated disc is something that you should do something about, but I do not think it is the cause of your sciatic trouble. 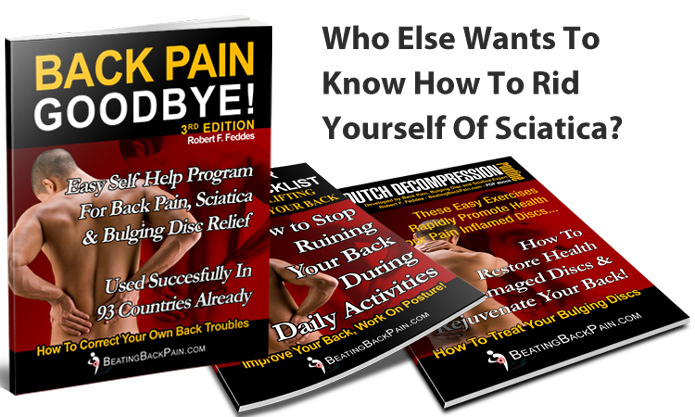 Sciatica And Herniated Discs - Correlation Does Not Imply Causation! In statistical science there is a saying: 'correlation does not imply causation". Which simply means that even though we might often see things together, that does not automatically mean that one causes the other. So if we observe a lot of herniated discs in people with sciatica symptoms that does not mean that the herniated disc causes the sciatica. 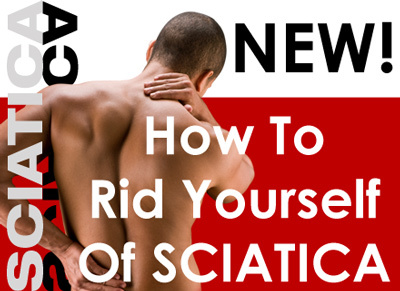 And this is the one thing I would like you to take away from this article: sciatica is related to herniated discs, but one does not necessarily cause the other. I said I would like docs to look one step further than the herniated disc. I therefore think I should do the same, and in the next article I will do just that and focus on the bulging disc and demonstrate how the exact same things that causes bulging or herniated discs in most people, gives the perfect explanation for sciatic pains as well.